RJCC Events books many DJ's for our events from all over the UK and we have a few of our 'resident' Oxford DJ's and other London DJs listed below. Reliable, consistent and with an armoury of music in their collection they continue to wow the crowds and keep dancefloors packed. Our DJs have played at Oxford University Balls, all of the Oxford Nightclubs and some are based in London and play at clubs and bars internationally which brings a whole new level of performance to our mobile discos and portable nightclubs. We don't charge DJ's for the space on our site. It is simply a great way to offer a variety of great DJ's and their associated music styles to our clients. Have you booked a DJ for your party or event and need to hire a PA system, CDJ Decks or Turntables? We can help! RJCC Events can supply everything you need so the DJ can simply arrive with CD's or plug in a laptop and perform. Get in touch for more details. RJCC Events now offer VIDEO DJs, otherwise know as VJs for your event. Our DJ's mix music videos which will be displayed on large flatscreen TVs, projection screens or LED video walls. Call or email for more details. RJCC Events supply DJs for corporate event and private parties. When you book corporate DJ pr a private party DJ with us you know you and your guests will be dancing all night! New DJ's & Bands can register here. We will approve DJ's and Bands on a case by case basis. * = a Premium DJ surcharge may apply on popular dates in addition to our Disco & Portable Nightclub Package prices. Longy started his djing career at the tender age of 14. He bought his first pair of CDJ 15's and a smaller mixer, playing pop and rock. Then gaining his mixing skills, he started to find a passion for house and drum and bass. Today, Longy has now has huge experience with nightclub and student crowds playing to audiences of up to 2000 people. 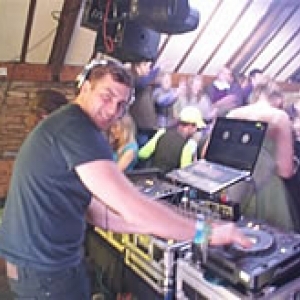 He has also played alongside Matt Hardwick, Vicky Devine and Radio 1's Judge Jules and Greg James. Longy can provide a set around your personal needs making his production a priority for any gig. Dave Edwards has been mixing house since '98 - From funky to tech, deep to electro, Dave Edwards will rock any dancefloor. 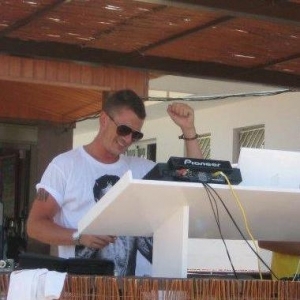 An Ibiza season-air and having worked for Pacha, 2012 see Dave Edwards playing on the white isle at Bora Bora and more recently with residencies at Mocka Lounge in Cardiff and Premier Cru in his hometown of Torbay.